GET INSTANT ACCCESS TO THE RECORDED LIVE SESSIONS RIGHT NOW! THE MARKETPLACE MASTER DEALERSHIP TRAINING SERIES! FULLY RECORDED SESSIONS WITH THE TOP TRAINERS IN THE INDUSTRY! Unlimited Instant Access for your Dealership! You have purchased the training successfully! Copyright © 2017 · DealershipExpo.com · All Rights Reserved. Jimmy Vee Will bring your customers to you with Gravitational Marketing. 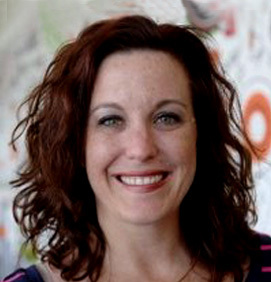 They are the authors of the best-selling books Gravitational Marketing: The Science of Attracting Customers and Invasion Of The Profit Snatchers, and co-founders of Gravitational Marketing, a full-service agency in sunny Orlando, Florida. 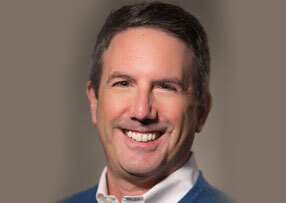 Glenn Pasch is the COO of PCG Digital Marketing. He has more than 20 years of experience in training and managing individuals. He has worked in the direct marketing industry, including hands-on sales training, project management, as well as organizational development and performance consultant services. 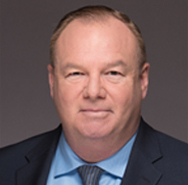 He has a proven track record of leading diverse teams of professionals to new levels of achievement in a variety of highly competitive markets and fast paced environments. In addition, he personally coached thousands of front line sales and customer service agents as well hundreds of management personnel. He continues to author articles for industry publications as well as continuing his successful Side by Side Coach Blog. He is a speaker whose energetic, straight forward style of coaching and training connects with audiences and leaves them with tangible tools they can utilize immediately. 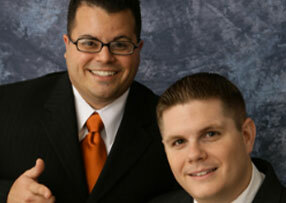 Jimmy Vee and Travis Miller Will bring your customers to you with Gravitational Marketing. He is the author of the best-selling books Gravitational Marketing: The Science of Attracting Customers and Invasion Of The Profit Snatchers, and co-founders of Gravitational Marketing, a full-service agency in sunny Orlando, Florida. 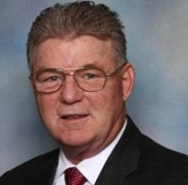 For 10 years Mike Jackson has been operating in the dealership industry. 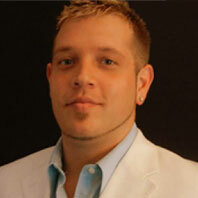 He has developed highly effective websites and SEO strategies for dealers. Jackson is considered a major authority in auto industry marketing. He has been a keynote speaker and trainer 15 times at many expos and conventions for the industry. Jackson has also has been published over 30 times in major industry publications and works very closely with the NIADA and other organizations. Jackson is an industry leader and no stranger to the Online Auto Industry. He has helped launched hundreds of successful online projects, including dealer marketing and technology services currently used at dealerships across the nation. Jackson will provide an excellent addition to MarketPlace Master, whose programs seek to propel businesses to experience maximum conversions and a higher level of success. Jackson has built an impressive, positive reputation with organizations in the auto industries like NIADA, which was founded in 1946 and has over 20,000 members nationwide. 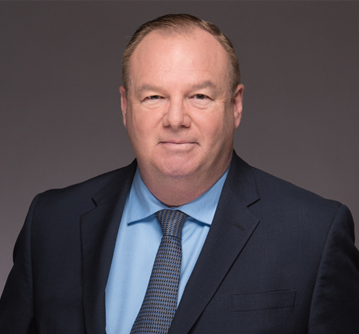 As a leader in his field within the industry, Jackson has been the keynote speaker and held workshops on many topics spanning automotive online presence and recognition along with other sales and industry topics. Due to the extreme value Jackson brings to associations such as the NIADA, he is given complimentary space at every event. He also has open invitation to speak at multiple industry related conventions. Peter Bordes is considered one of the most successful online marketing experts and entrepreneurs of all time. He has worked in marketing and media for over 30 years. Peter is very well known for his online marketing expertise, breaking records for online performance marketing and is no stranger to the Automotive space. One of his major investments, Think Realtime, was acquired by Dealer.com for it’s lightning-fast ability to analyze and intelligently price media space. The web’s most sophisticated marketers use this auto dealer based technology to measure, be accountable to the same metrics used in paid search, influence and drive consumer sales using the display advertising channel. Founding one of the most successful direct response marketing companies in the world, Media Trust (#9 on the INC500 2 years in a row), Peter has turned his attention to the local marketing space for dealerships. He saw the future coming for the local market well before it hit. His current focus through OneQube.com is is deeply involved in audience development. His Keynote will be a breath of fresh air for dealerships of all sizes. He will be speaking on the subject of Local Online Social Media and Massive Audience Development for dealers. You really do not want to miss what Peter can teach you about the audience development on the local level for your dealership. Get in early! For the past three decades, Stuker’s creative vision has transformed over 15,000 dealerships worldwide – developing sales teams, improving sales processes and increasing overall profitability. Tom’s appearances in major publications, news broadcasts, automotive conventions and other media outlets not only motivate his global network, but make him a respected legend in the industry. Stuker has been featured on TODAY, Fox News, ABC’s 20/20, CNN and Nightline. 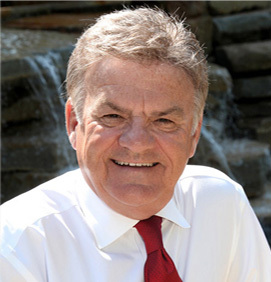 Tom has also appeared as an industry keynote speaker at AADA, NADA, CBT News, Auto Dealer Live (The BDC Boardroom) and Digital Dealer. D.J. 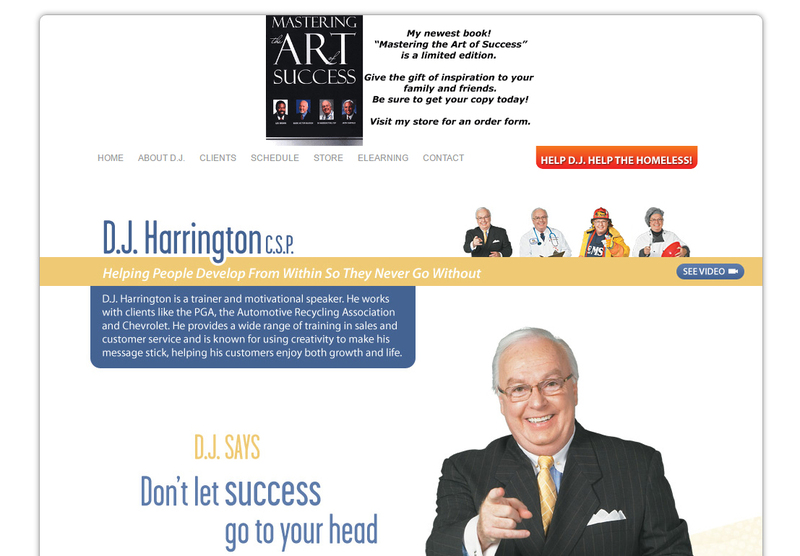 Harrington, CSP is a bestselling author and the President of Phone Logic, Inc. an international training company based in Atlanta, Georgia. D.J. serves as a consultant and trainer to over 1,000 privately owned businesses throughout the country, training personnel at all levels of the company. 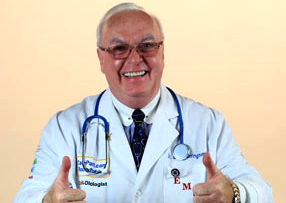 Known as the “Doctor” to some and the “Car-Diologist” to others he has presented well over 2000 programs globally. He has had a blessed life and been awarded the prestigious Certified Speaking Professional (CSP) designation by the National Speakers Association. 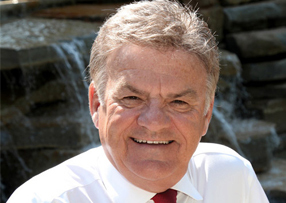 He contributes much of his success to his experiences as a graduate of Saint Leo University. D.J. combines his knowledge, high energy and humor in a thought provoking, fun, interactive learning environment. He leaves his audience with practical advice and methods to succeed. 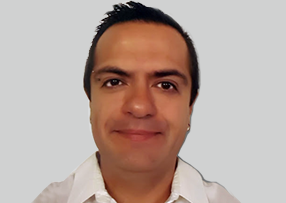 His years as a sales trainer and motivational speaker, in a variety of industries, have provided D.J with an outstanding background which he brings to every clinic and seminar. DJ can give you a “tune-up” or a “complete overhaul”. Presenting to dealerships on location, on stage and across the world D.J. will be bringing you a performance you simply can not miss! 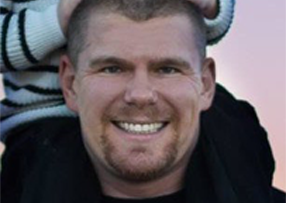 Mike Jackson has been operating in the dealership industry developing highly effective websites and SEO strategies for dealers going on 10 years. 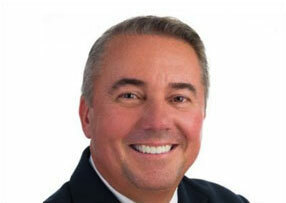 Mike is considered a major authority in marketing for dealers appearing 15 times as a keynote speaker and trainer. Mike has been published over 30 times in major industry publications and works very closely with the NIADA and other organizations. Unlike so many other professionals in the field, Mike has worked to truly educate dealers on what they are able to do in their local search and social environment from the start. Incredible enough the web has continued towards giving local businesses their power back. The ability to do incredible things with your marketing with very minimal costs has taken the industry to a completely new level. And the new Millennial Market has emerged amongst this new industry perspective. How do you reach these new buyers? Mike will bring all home in his Keynote! Don’t miss it. Mike will completely surprise you with the amount of usable information you will learn from his presentations. In fact, that is one thing he hears more consistently than anything else. His subject matter will uncover many ways that dealers can reach their local audiences through SEO, social media and very effective and free online resources. What makes Fran a powerful trainer is his knowledge that the tactics, strategies, and techniques he shares in his training actually work because he has used them (and still does) to create his own success during his sales career. Beginning as a salesman at a car dealership, he quickly learned the tricks of the trade and went on to become everything from a finance manager to general manager. He worked for almost two decades in the car and RV market, helping to build a business from the ground up and breaking records along the way. He now focuses all his expertise of the auto industry to provide the best in insurance services to car and RV dealerships. 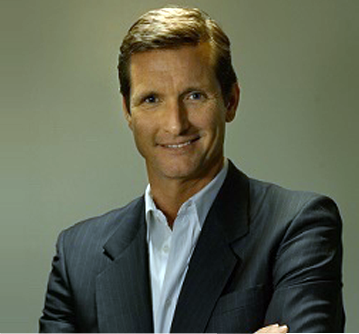 Patrick Anderson has been in the operations department of some of the most successful companies in the world. He appeared to a sold out crowd of over 2,000 Internet marketers at Wembley stadium and has appeared as a Keynote speaker in the space over 30 times. 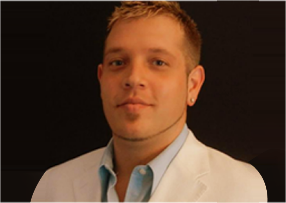 As an online marketing entrepreneur he has experience you will not find in another speaker. He was the senior director of affiliate services at American Express leading them to win the Affiliate program of the year 4 years in a row. His customers include Priceline.com. Travelocity, 20th Century Fox, Yahoo.com and several other major online Internet players. Patrick has brought groundbreaking traffic results including his own online media hub that saw over 8 million unique visits per day. Patrick’s ad buying strategies and clear understanding of the space has propelled his group to massive success in ad revenues in many diverse industries. Patrick is considered an expert at inducing viral and high interest through applications such as Facebook, twitter, instagram and others. 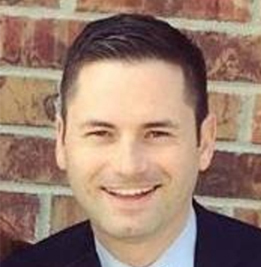 As one of the most sought after campaign managers in the industry and the owner of AdMarketingPros.com Patrick has incredible strategies to share to Automotive Dealers across the United States. You are not going to want to miss his incredible keynote. He will be talking about intelligent ad spend and on line marketing management for your dealership. His focus will be on how to keep budgeted but still maintain incredible results. Relentless Leadership:Dominate NOW & Build the Future! 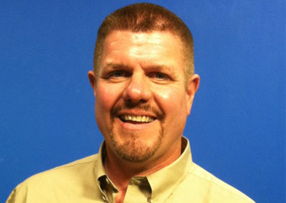 Former GM and NADA Academy Graduate Tim Kintz has been working in and on the car business for nearly three decades. In that time, he’s dedicated his life to studying the automotive marketplace; The buyers, sellers, manufacturers, and service providers, and how to bring them all together to move more metal and create the best experience possible. Buyer opinions matter online more now than ever. Stay ahead of the curve. 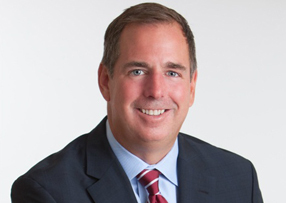 Steve Maher is Vice President for Medallia, leading the solution sales and partner solution organizations in customer metrics for several major automotive clients. Their customers range from Toyota to several of the major airlines. Medallia makes software to measure and improve the customer experience in real time. We allow businesses to listen to, understand, and then act on their customers' feedback. What does this mean? Think about the last interaction you had with a business. Was it a good one? Could it have been better? As a customer in this scenario, these questions may seem obvious. But here's the thing — they're not obvious to most businesses. A lot of them don't know whether the interaction you just had was a good one or not, and if they do know, who's held accountable for improving it in the future. Before Medallia Steve was a Vice President for Computer Associates working with fortune 500 CIOs across the globe in customer satisfaction data analysis. He is considered one the authorities in the space on customer satisfaction and will bring incredible insights for your dealership in his keynote. Quit Texting and Start Selling Today! George’s Stage Presence in Dallas will be delivering a powerful message! Who is George? Motivational speaker George Dans is fired up with passion and drive to help everyone he meets develop themselves to success. George speaks to companies who are looking for real world training solutions, backed with the motivational training to implement what they learn. George has studied human improvement for over 25 years and has read thousands of books on the subject. Being a published author himself, George has written many articles and books on what it takes to succeed in this market. He is a master of humor and powerful storytelling, bringing unparalleled energy and principals to every audience he speaks for. George had the privilege of serving our country as a ‘Fire Fighter’ and was honored as the ‘Academy Chief’ at the 62nd basic fire academy in Orange County, California. He has the ability to generate contagious energy, which results from his own rich life experiences. 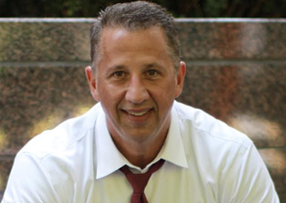 Professional Paid Speaker 16 years - Over 750 paid speaking events - Spoke Internationally - Coached over 250 clients - Consulted 500 plus clients - Top rated Speaker at several events - Trained and spoke at over 150 sales and motivational seminars with top Fortune 500 companies - Head Hockey Coach 15 years - Professional Hockey Instructor - Professional Hockey School Director - Spoken over 150 youth groups on personal development. Chris Leedom and Paul Johnson work closely with Textmaxx Pro. 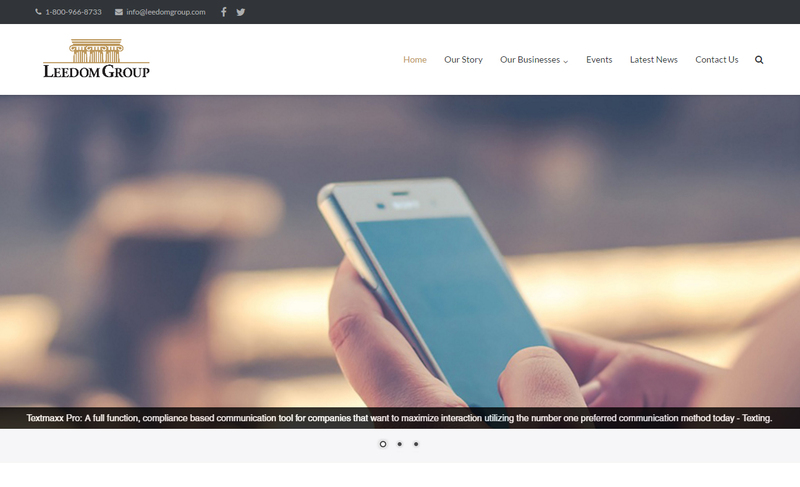 Textmaxx Pro messaging solutions offers everything your company needs to take your business to the next level. Use our state of the art texting tool for your business marketing, collections, and promotional needs. 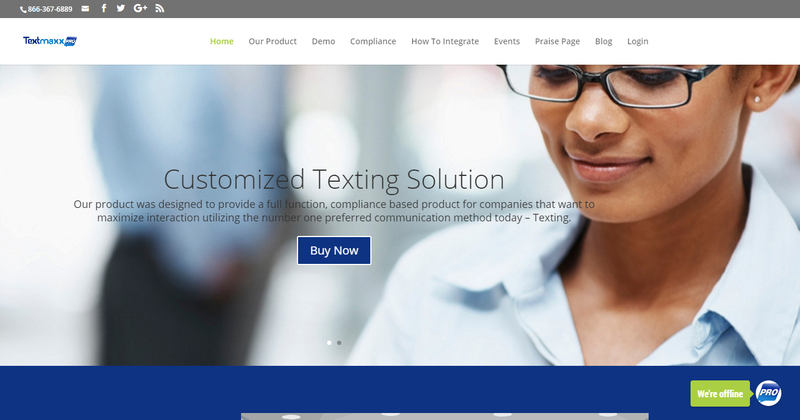 Textmaxx Pro offers a flexible, easy and compliant way to communicate with customers by text. 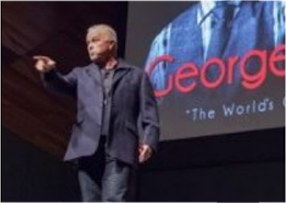 George's Stage Presence in Dallas will be delivering a powerful message! 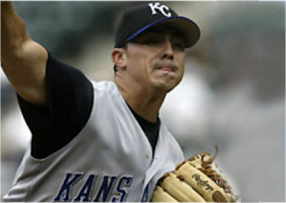 A former Major League pitcher with the Kansas City Royals, Jimmy brings his 10 years of professional baseball experience. In his 10 year career, Jimmy pitched for 7 different organizations that included the Montreal Expos, New York Mets, Kansas City Royals, Oakland Athletics, Cincinnati Reds, Boston Red Sox, and Florida Marlins. His baseball background also includes three Arizona Fall League seasons, two seasons in the Puerto Rico winter league, one season in the Mexican winter league, and one season with the SK Wyverns of the Korean Baseball Organization. Jimmy collected three organizational pitcher of the month awards as well as being selected to All-Star teams at the Single A, Double A, and Triple A levels. In 2008, He started Top Prospect Baseball in Southern Maryland. As a major participant in the The Top Prospect Athletics program for youth Jimmy saw 12 of its players go on to play college baseball. Jimmy has been instrumental in advising players during the college recruiting process and helping them receive athletic and academic scholarships. Jimmy and his wife Caitlin have two sons, Ethan and Noah. 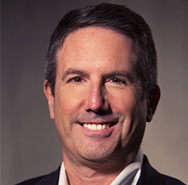 Mark Tewart is a recognized expert in sales, marketing, management, personal development, motivation, and business operations. 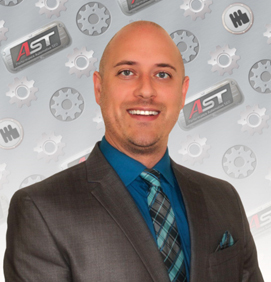 He is a highly recognized automotive industry sales training expert. Mark has an extensive and very successful background spanning over three decades. Beginning in sales & finance, Mark became one of the youngest Executive Managers in the country at the young age of twenty seven. With his success, Mark then became an in-demand professional speaker, consultant and business turn-around expert. He founded and is President of several successful companies as well as being the author of the best selling book “How To Be A Sales Superstar – Break All the Rules and Succeed While Doing It. Mark is an in-demand media spokesperson and has been interviewed by TV, Radio, Newspaper, Magazines and other media outlets worldwide and is the host of the hit online show “On The Mark” on CBT. He writes weekly and monthly editorials for several print and online magazines and blogs. 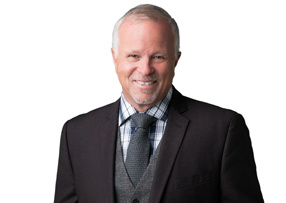 Mark is also an in-demand keynote speaker, consultant and personal coach to many businesses and business leaders. Mark personally performs over 100 speaking and training engagements each year. 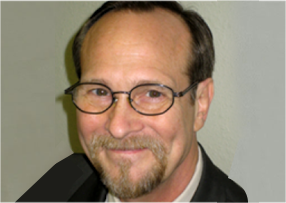 He is a professional member of the National Speakers Association and the The Author’s Guild. 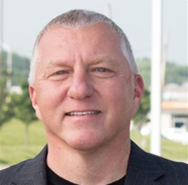 Don Reed, CEO of DealerPRO Training, has worked with hundreds of dealerships and dealer groups across the U.S., Canada and the U.K. teaching them how to increase profits in fixed operations. He has been published in AutoDealer Monthly, AutoSuccess, Fixed Ops, RVPRO, and Dealer magazines. Don has conducted NADA webinars, NADA Convention workshops and programs for NADA 20 Groups, state/local dealer associations, the Canadian Auto Dealers Association, RVDA, GM, Chrysler, Nissan, and Subaru. Don's proven, in-dealership performance driven training initiatives have produced additional gross profits for dealers that beat their previous year’s performance by up to 40% or more. Don and his team has accomplished these remarkable results by training, teaching and coaching the dealership service team to provide every customer with the highest level of service they possibly can on each and every visit. After his less than prosperous start in the automotive industry, Jerry decided to move to Rochester, NY. Since getting a job in the car business was so easy the first time around, Jerry decided to give the automotive world one more try. By September of that year Jerry had landed a sales position working for Holtz Autohouse selling Mazda's and Volvo's. Under the tutelage of veteran management, Jerry quickly became a top producing sales rep.
Martin is an acclaimed speaker and automotive industry expert specializing in digital marketing trends, mobile-enabled emails, conquest email marketing, integrating technology and selling to women. He has been featured at numerous industry events before including NADA and previous Digital Dealer, AutoCon and RVDA events. 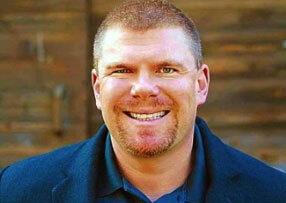 He has also spoke at C12 Christian Business Group conferences and to alumni groups from Ohio State University. 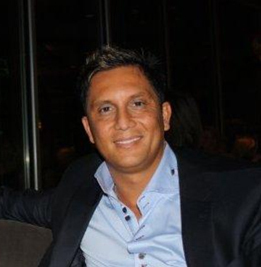 He is a contributing author to AutoSuccess Magazine and other trade publications. He is also a member of the National Speakers Association. 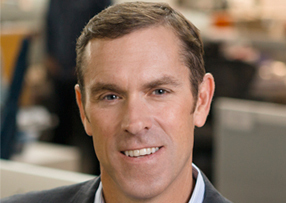 Paxton Wright is the Chief Operating Officer at PrimaLend Capital Partners. 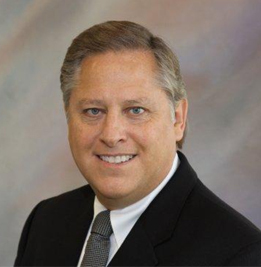 His career accomplishments include becoming a top rated Twenty Group moderator and Senior Consultant for the Leedom Group, with over 10 years of experience in lending, auto finance and dealership operations. Paxton possesses deep industry knowledge and has consulted on array of topics including credit facilities, note sales, portfolio performance metrics and general dealership operations. Consultation with new and used automobile dealers in the areas of general business management and profitability, buy/sells of automotive franchises, Buy Here Pay Here (BHPH) dealerships and its related finance companies (RFC), Lease Here Pay Here dealerships (LHPH), sub-prime used vehicle dealerships and dealership computer software operations and efficiency. 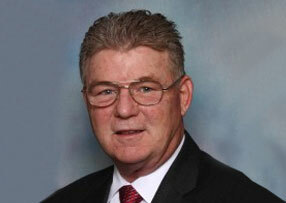 For 40 years Mr. Dunagan has been counsel to the Texas Independent Automobile Dealers Association. He has also represented the National Independent Automobile Dealers Association, the Texas Wholesale Auto Auction Association, motor vehicle lenders as well as new and used car dealers. 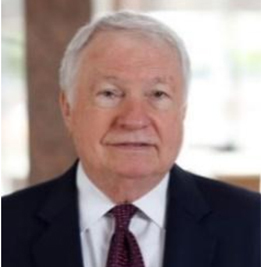 Mr. Dunagan’s two books, Texas Automobile Repossession: a Lien Holder’s Legal Guide and Dealer Financing of Used Car Sales,have been must-reads for generations of car creditors. Matt Nibarger was the Operations Manager and is currently the Director of Business Development at PrimaLend Capital Partners. 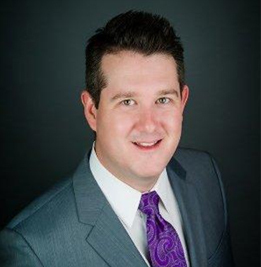 He has his BBA and MBA in Finance from Southern Methodist University and has experience running organizations at Morgan Stanley and Bank of America for specialty accounting and operations. He has been with PrimaLend Capital for four years. As the Director of Business Development his focus is on helping principals of dealerships and finance companies understand the financing of their business at all stages of the company’s life cycle. 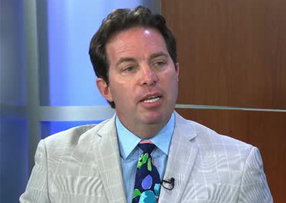 Guy O’Brien is the CEO/Founder of Brolin Guy Capital, a capital agency. 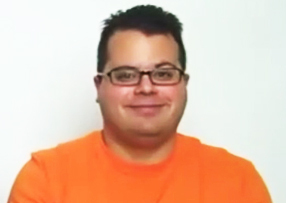 He also is the CEO/Founder of Brolin Guy Acceptance, an indirect subprime finance company. He is also the CEO/Founder of Brolin Guy Warranty, a full spectrum, fully customizable back-end products and reinsurance solutions company. 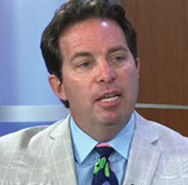 Guy is nationally recognized as a subprime auto expert as he regularly speaks at national subprime auto and capital conferences; educating the market of buyers and sellers on the evolving state of subprime auto financial climate. Guy was instrumental in building a bulk receivable purchasing finance company as he was one of the largest buyers of bulk receivables in the landscape by successfully negotiating and boarding over $350ml in receivables, and has traded hundreds of millions. Guy is also a professional sales trainer, speaker and consultant, and he has assisted finance companies and dealers establish their sales and marketing methodology and platform. Brolin Guy Capital is a full-service agency, specializing in raising lines of credit, trading bulk performing loans and auto debt. The agency also purchases BK Ch. 7 and Ch. 13 auto receivables. Brolin Guy Capital’s clientele consists of auto dealers, banks, credit unions and finance companies. She is a Great Connector! Connecting like-minded companies & resources, through strategic partnerships, for the continued growth of our automotive clients' businesses is what she do. And she is on the hunt for any and all opportunities that will bring a heaping helping of ESP to Gravitational Marketing, our Rich Dealers members, and those with whom they partner. 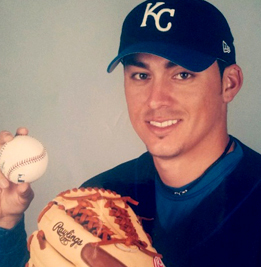 James Serrano (born May 9, 1976 in Grand Junction, Colorado) is a former professional baseball pitcher. Senior Product Marketing Specialist - Hospitality & Sports/Entertainment Mitel Company since Dec 2017. Business Development Manager at Mitel since Oct 2015. Work as Sales Coordinator RightNow Media from Jan 2015 to Oct 2015 at Richardson Location, TX Manage and generate leads, Calling, scheduling and organizing sales calls and presentations, Building sales funnels, Maintaining current and established client relations and initiating new ones. JChris began his journey into the automotive electronics world in 1996, later joining the elite group and handful MECP Master Certified technicians in the US. 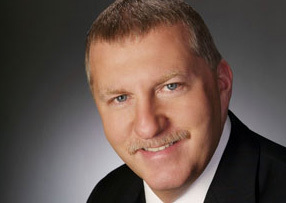 He holds a degree in business and communications and has received numerous leadership and sales training awards over his 21+ years in the auto industry. Please fill this out to be informed the minute this goes live! 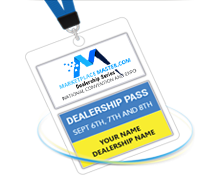 ATTEND THE MARKETPLACE MASTER DEALERSHIP CONFERENCE AND RECEIVE COMPLIMENTARY PASSES! 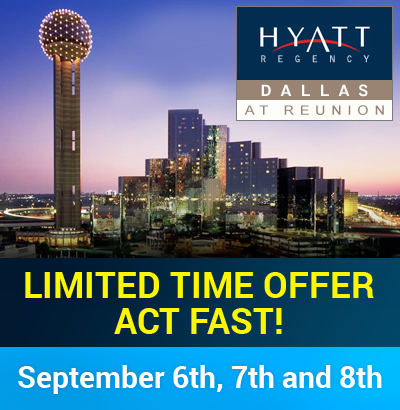 For a limited time you can get up to 3 complimentary passes simply by booking your stay with the Hyatt for our Dealership Conference and EXPO! Then come back to the site and enter in the Promo code: STAYHYATT to redeem your complimentary passes! You will be able to get in early and pick your booth space starting October 15th, 2017! Information for Travel and Accommodations to our Expo will be live and available October 15th, 2017. Invest in the Future of Your Dealership! Attend the most dealer-focused, education-targeted Conference and Expo in the industry! Dealership Pass to all three days. September 6th, 7th and 8th. Want to buy ticket also? Welcome to MarketplaceMaster Dealership Series. The MarketplaceMaster Dealership Series website (the "Site") is comprised of various web pages operated by MarketplaceMaster Dealership SeriesMarketplaceMaster Dealership Series is offered to you conditioned on your acceptance without modification of the terms, conditions, and notices contained herein (the "Terms"). Your use of MarketplaceMaster Dealership Series constitutes your agreement to all such Terms. Please read these terms carefully, and keep a copy of them for your reference. There is, absolutely, no guarantee that you will be successful when using MarketPlaceMaster Dealership Series coaching, information, tools or ideas. All programs and products are for educational and informational purposes. You will not hold MarketPlaceMaster liable for any actions, decisions, or results at any time, under any circumstance. All programs and products sold by MarketPlaceMaster Dealership Series is applied to all of the policies and procedures. Visiting MarketplaceMaster Dealership Series or sending emails to MarketplaceMaster Dealership Series constitutes electronic communications. You consent to receive electronic communications and you agree that all agreements, notices, disclosures and other communications that we provide to you electronically, via email and on the Site, satisfy any legal requirement that such communications be in writing. If you use this site, you are responsible for maintaining the confidentiality of your account and password and for restricting access to your computer, and you agree to accept responsibility for all activities that occur under your account or password. You may not assign or otherwise transfer your account to any other person or entity. You acknowledge that MarketplaceMaster Dealership Series is not responsible for third party access to your account that results from theft or misappropriation of your account. MarketplaceMaster Dealership Series and its associates reserve the right to refuse or cancel service, terminate accounts, or remove or edit content in our sole discretion. MarketplaceMaster Dealership Series may contain links to other websites ("Linked Sites"). The Linked Sites are not under the control of MarketplaceMaster Dealership Series and MarketplaceMaster Dealership Series is not responsible for the contents of any Linked Site, including without limitation any link contained in a Linked Site, or any changes or updates to a Linked Site. MarketplaceMaster Dealership Series is providing these links to you only as a convenience, and the inclusion of any link does not imply endorsement by MarketplaceMaster Dealership Series of the site or any association with its operators. Certain services made available via MarketplaceMaster Dealership Series are delivered by third party sites and organizations. By using any product, service or functionality originating from the MarketplaceMaster Dealership Series domain, you hereby acknowledge and consent that MarketplaceMaster Dealership Series may share such information and data with any third party with whom MarketplaceMaster Dealership Series has a contractual relationship to provide the requested product, service or functionality on behalf of MarketplaceMaster Dealership Series users and customers. All content included as part of the Service, such as text, graphics, logos, images, as well as the compilation thereof, and any software used on the Site, is the property of MarketplaceMaster Dealership Series or its suppliers and protected by copyright and other laws that protect intellectual property and proprietary rights. You agree to observe and abide by all copyright and other proprietary notices, legends or other restrictions contained in any such content and will not make any changes thereto. You will not modify, publish, transmit, reverse engineer, participate in the transfer or sale, create derivative works, or in any way exploit any of the content, in whole or in part, found on the Site. MarketplaceMaster Dealership Series content is not for resale. Your use of the Site does not entitle you to make any unauthorized use of any protected content, and in particular you will not delete or alter any proprietary rights or attribution notices in any content. You will use protected content solely for your personal use, and will make no other use of the content without the express written permission of MarketplaceMaster Dealership Series and the copyright owner. You agree that you do not acquire any ownership rights in any protected content. We do not grant you any licenses, express or implied, to the intellectual property of MarketplaceMaster Dealership Series or our licensors except as expressly authorized by these Terms. MarketplaceMaster Dealership Series has no obligation to monitor the Communication Services. However, MarketplaceMaster Dealership Series reserves the right to review materials posted to a Communication Service and to remove any materials in its sole discretion. MarketplaceMaster Dealership Series reserves the right to terminate your access to any or all of the Communication Services at any time without notice for any reason whatsoever. MarketplaceMaster Dealership Series reserves the right at all times to disclose any information as necessary to satisfy any applicable law, regulation, legal process or governmental request, or to edit, refuse to post or to remove any information or materials, in whole or in part, in MarketplaceMaster Dealership Series's sole discretion. Always use caution when giving out any personally identifying information about yourself or your children in any Communication Service. MarketplaceMaster Dealership Series does not control or endorse the content, messages or information found in any Communication Service and, therefore, MarketplaceMaster Dealership Series specifically disclaims any liability with regard to the Communication Services and any actions resulting from your participation in any Communication Service. Managers and hosts are not authorized MarketplaceMaster Dealership Series spokespersons, and their views do not necessarily reflect those of MarketplaceMaster Dealership Series. MarketplaceMaster Dealership Series does not claim ownership of the materials you provide to MarketplaceMaster Dealership Series (including feedback and suggestions) or post, upload, input or submit to any MarketplaceMaster Dealership Series Site or our associated services (collectively "Submissions"). However, by posting, uploading, inputting, providing or submitting your Submission you are granting MarketplaceMaster Dealership Series, our affiliated companies and necessary sublicensees permission to use your Submission in connection with the operation of their Internet businesses including, without limitation, the rights to: copy, distribute, transmit, publicly display, publicly perform, reproduce, edit, translate and reformat your Submission; and to publish your name in connection with your Submission. No compensation will be paid with respect to the use of your Submission, as provided herein. MarketplaceMaster Dealership Series is under no obligation to post or use any Submission you may provide and may remove any Submission at any time in MarketplaceMaster Dealership Series's sole discretion. You will be able to connect your MarketplaceMaster Dealership Series account to third party accounts. By connecting your MarketplaceMaster Dealership Series account to your third-party account, you acknowledge and agree that you are consenting to the continuous release of information about you to others (in accordance with your privacy settings on those third party sites). If you do not want information about you to be shared in this manner, do not use this feature. The Service is controlled, operated and administered by MarketplaceMaster Dealership Series from our offices within the USA. If you access the Service from a location outside the USA, you are responsible for compliance with all local laws. You agree that you will not use the MarketplaceMaster Dealership Series Content accessed through MarketplaceMaster Dealership Series in any country or in any manner prohibited by any applicable laws, restrictions or regulations. You agree to indemnify, defend and hold harmless MarketplaceMaster Dealership Series, its officers, directors, employees, agents and third parties, for any losses, costs, liabilities and expenses (including reasonable attorneys' fees) relating to or arising out of your use of or inability to use the Site or services, any user postings made by you, your violation of any terms of this Agreement or your violation of any rights of a third party, or your violation of any applicable laws, rules or regulations. MarketplaceMasterDealership Series reserves the right, at its own cost, to assume the exclusive defense and control of any matter otherwise subject to indemnification by you, in which event you will fully cooperate with MarketplaceMaster Dealership Series in asserting any available defenses. THE INFORMATION, SOFTWARE, PRODUCTS, AND SERVICES INCLUDED IN OR AVAILABLE THROUGH THE SITE MAY INCLUDE INACCURACIES OR TYPOGRAPHICAL ERRORS. CHANGES ARE PERIODICALLY ADDED TO THE INFORMATION HEREIN. MARKETPLACEMASTER DEALERSHIP SERIES AND/OR ITS SUPPLIERS MAY MAKE IMPROVEMENTS AND/OR CHANGES IN THE SITE AT ANY TIME. MARKETPLACEMASTER DEALERSHIP SERIES AND/OR ITS SUPPLIERS MAKE NO REPRESENTATIONS ABOUT THE SUITABILITY, RELIABILITY, AVAILABILITY, TIMELINESS, AND ACCURACY OF THE INFORMATION, SOFTWARE, PRODUCTS, SERVICES AND RELATED GRAPHICS CONTAINED ON THE SITE FOR ANY PURPOSE. TO THE MAXIMUM EXTENT PERMITTED BY APPLICABLE LAW, ALL SUCH INFORMATION, SOFTWARE, PRODUCTS, SERVICES AND RELATED GRAPHICS ARE PROVIDED "AS IS" WITHOUT WARRANTY OR CONDITION OF ANY KIND. MARKETPLACEMASTER DEALERSHIP SERIES AND/OR ITS SUPPLIERS HEREBY DISCLAIM ALL WARRANTIES AND CONDITIONS WITH REGARD TO THIS INFORMATION, SOFTWARE, PRODUCTS, SERVICES AND RELATED GRAPHICS, INCLUDING ALL IMPLIED WARRANTIES OR CONDITIONS OF MERCHANTABILITY, FITNESS FOR A PARTICULAR PURPOSE, TITLE AND NON-INFRINGEMENT. MarketplaceMaster Dealership Series reserves the right, in its sole discretion, to terminate your access to the Site and the related services or any portion thereof at any time, without notice. To the maximum extent permitted by law, this agreement is governed by the laws of the State of Idaho and you hereby consent to the exclusive jurisdiction and venue of courts in Idaho in all disputes arising out of or relating to the use of the Site. Use of the Site is unauthorized in any jurisdiction that does not give effect to all provisions of these Terms, including, without limitation, this section. You agree that no joint venture, partnership, employment, or agency relationship exists between you and MarketplaceMaster Dealership Seriesas a result of this agreement or use of the Site. MarketplaceMaster Dealership Series's performance of this agreement is subject to existing laws and legal process, and nothing contained in this agreement is in derogation of MarketplaceMaster Dealership Series's right to comply with governmental, court and law enforcement requests or requirements relating to your use of the Site or information provided to or gathered by MarketplaceMaster Dealership Series with respect to such use. If any part of this agreement is determined to be invalid or unenforceable pursuant to applicable law including, but not limited to, the warranty disclaimers and liability limitations set forth above, then the invalid or unenforceable provision will be deemed superseded by a valid, enforceable provision that most closely matches the intent of the original provision and the remainder of the agreement shall continue in effect. Unless otherwise specified herein, this agreement constitutes the entire agreement between the user and MarketplaceMaster Dealership Series with respect to the Site and it supersedes all prior or contemporaneous communications and proposals, whether electronic, oral or written, between the user and MarketplaceMaster Dealership Series with respect to the Site. A printed version of this agreement and of any notice given in electronic form shall be admissible in judicial or administrative proceedings based upon or relating to this agreement to the same extent and subject to the same conditions as other business documents and records originally generated and maintained in printed form. It is the express wish to the parties that this agreement and all related documents be written in English. MarketplaceMaster Dealership Series reserves the right, in its sole discretion, to change the Terms under which MarketplaceMaster Dealership Series is offered. The most current version of the Terms will supersede all previous versions. MarketplaceMaster Dealership Series encourages you to periodically review the Terms to stay informed of our updates. If you purchase Marketplace Master Dealership Series Corp's products and services, we collect billing and credit card information. This information is used to complete the purchase transaction. Information about your computer hardware and software may be automatically collected by Marketplace Master Dealership Series Corp. This information can include: your IP address, browser type, domain names, access times and referring website addresses. This information is used for the operation of the service, to maintain quality of the service, and to provide general statistics regarding use of the Marketplace Master Dealership Series Corp website. Please keep in mind that if you directly disclose personally identifiable information or personally sensitive data through Marketplace Master Dealership Series Corp's public message boards, this information may be collected and used by others. Marketplace Master Dealership Series Corp encourages you to review the privacy statements of websites you choose to link to from Marketplace Master Dealership Series Corp so that you can understand how those websites collect, use and share your information. Marketplace Master Dealership Series Corp is not responsible for the privacy statements or other content on websites outside of the Marketplace Master Dealership Series Corp website. Marketplace Master Dealership Series Corp collects and uses your personal information to operate its website(s) and deliver the services you have requested. Marketplace Master Dealership Series Corp may also use your personally identifiable information to inform you of other products or services available from Marketplace Master Dealership Series Corp and its affiliates. Marketplace Master Dealership Series Corp may also contact you via surveys to conduct research about your opinion of current services or of potential new services that may be offered. Marketplace Master Dealership Series Corp does not sell, rent or lease its customer lists to third parties. Marketplace Master Dealership Series Corp may, from time to time, contact you on behalf of external business partners about a particular offering that may be of interest to you. In those cases, your unique personally identifiable information (e-mail, name, address, telephone number) is transferred to the third party. Marketplace Master Dealership Series Corp may share data with trusted partners to help perform statistical analysis, send you email or postal mail, provide customer support, or arrange for deliveries. All such third parties are prohibited from using your personal information except to provide these services to Marketplace Master Dealership Series Corp, and they are required to maintain the confidentiality of your information. Marketplace Master Dealership Series Corp may keep track of the websites and pages our users visit within Marketplace Master Dealership Series Corp, in order to determine what NEX Medical Solutions services are the most popular. This data is used to deliver customized content and advertising within NEX Medical Solutions to customers whose behavior indicates that they are interested in a particular subject area. Marketplace Master Dealership Series Corp will disclose your personal information, without notice, only if required to do so by law or in the good faith belief that such action is necessary to: (a) conform to the edicts of the law or comply with legal process served on Marketplace Master Dealership Series Corp or the site; (b) protect and defend the rights or property of Marketplace Master Dealership Series Corp; and, (c) act under exigent circumstances to protect the personal safety of users of Marketplace Master Dealership Series Corp, or the public. The Marketplace Master Dealership Series Corp website may use "cookies" to help you personalize your online experience. A cookie is a text file that is placed on your hard disk by a web page server. Cookies cannot be used to run programs or deliver viruses to your computer. Cookies are uniquely assigned to you, and can only be read by a web server in the domain that issued the cookie to you. One of the primary purposes of cookies is to provide a convenience feature to save you time. The purpose of a cookie is to tell the Web server that you have returned to a specific page. For example, if you personalize NEX Medical Solutions pages, or register with Marketplace Master Dealership Series Corp site or services, a cookie helps NEX Medical Solutions to recall your specific information on subsequent visits. This simplifies the process of recording your personal information, such as billing addresses, shipping addresses, and so on. When you return to the same Marketplace Master Dealership Series Corp website, the information you previously provided can be retrieved, so you can easily use the Marketplace Master Dealership Series Corp features that you customized. You have the ability to accept or decline cookies. Most Web browsers automatically accept cookies, but you can usually modify your browser setting to decline cookies if you prefer. If you choose to decline cookies, you may not be able to fully experience the interactive features of the Marketplace Master Dealership Series Corp services or websites you visit. Marketplace Master Dealership Series Corp does not knowingly collect personally identifiable information from children under the age of thirteen. If you are under the age of thirteen, you must ask your parent or guardian for permission to use this website. You will be able to connect your Marketplace Master Dealership Series Corp account to third party accounts. BY CONNECTING YOUR MARKETPLACE Master DEALERSHIP SERIES CORP ACCOUNT TO YOUR THIRD PARTY ACCOUNT, YOU ACKNOWLEDGE AND AGREE THAT YOU ARE CONSENTING TO THE CONTINUOUS RELEASE OF INFORMATION ABOUT YOU TO OTHERS (IN ACCORDANCE WITH YOUR PRIVACY SETTINGS ON THOSE THIRD PARTY SITES). IF YOU DO NOT WANT INFORMATION ABOUT YOU, INCLUDING PERSONALLY IDENTIFYING INFORMATION, TO BE SHARED INTHIS MANNER, DO NOT USE THE THIS FEATURE. You may disconnect your account from a third party account at any time. Marketplace Master Dealership Series Corp will occasionally update this Statement of Privacy to reflect Marketplace Master Dealership Series Corp and customer feedback. Marketplace Master Dealership Series Corp encourages you to periodically review this Statement to be informed of how Marketplace Master Dealership Series Corp is protecting your information. Due to the nature of this digital product, no refunds will be given. Once purchased, you will have instant access to the trainings by simply logging into your account. If you wish to go for our part payments options you can do so immediately using your credit card where the down payment charges will be initially deducted from your credit card and after that there will be monthly payments which will be deducted from your credit card on a monthly basis for 4 months. Thank you for purchasing Drink Tickets! Don't forget to add your attendees! You can do this now by staying on this page, or email Natysha@marketplacemaster.auto with your attendee list!